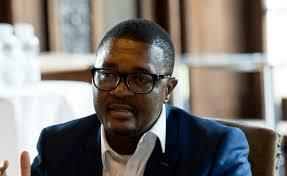 A HARARE court is today set to deliberate on how to proceed with the trial of former Foreign Affairs minister Walter Mzembi, who is said to be gravely ill in South Africa, but a video showing a fit Mzembi in the neighbouring country surfaced last week. Harare magistrate Hosea Mujaya was last week asked by Mzembi’s lawyer Job Sikhala to pray for the “seriously ill” ex-minister. Mzembi is facing criminal abuse of office and fraud allegations, which he is jointly charged with Aaron Mushoriwa and Suzanna Makombe Kuhudzayi. The former Foreign Affairs minister has skipped trial a number of times and was at one time issued with an administrative warrant of arrest. The matter was postponed to today for deliberation on how to separate the former minister’s charges from those of his accomplices Mushoriwa and Kuhudzayi. However, social media was at the weekend abuzz with reports that Mzembi had succumbed to his illness, forcing the former minister to dispel the rumours by recording a video in an office. In the video, Mzembi is seen laughing and talking to someone over the phone and a background voice from someone in the office saying in vernacular that “those who are saying Walter is dead will pay”. Contacted for comment, Sikhala said the video was taken in 2010.